Home / HP / Laserjet / HP Colour Laserjet CP1525N / 4. CE322Acomp – Guaranteed HP128A Compatible YELLOW High Capacity HP 128 A Toner Cartridge – delivered FAST & FREE! CE322Acomp – Guaranteed HP128A Compatible HIGH YIELD YELLOW HP 128 A Toner Cartridge – delivered FAST & FREE. HIGHER 1,800 x A4 page yield than original. Great print quality at a low price – fully guaranteed. 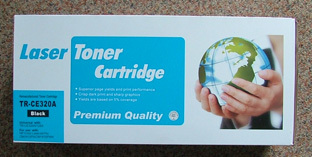 CE321A – Genuine HP Branded CYAN HP128 Toner Cartridge – delivered FAST & FREE! CE322A – Genuine HP Branded YELLOW HP128 Toner Cartridge – delivered FAST & FREE!